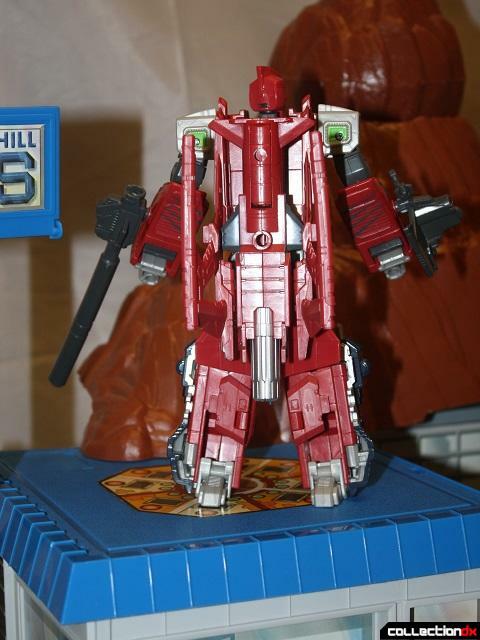 2016 was the end for BotCon, the official Transformers fan convention. 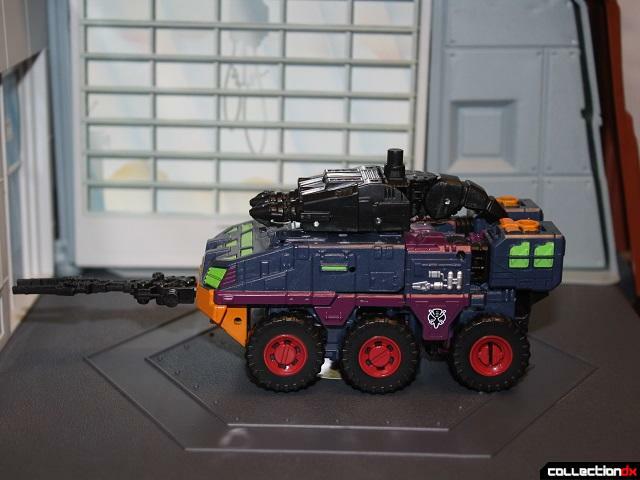 So, it remains to be seen if the upcoming HasCon will be a worthy successor. 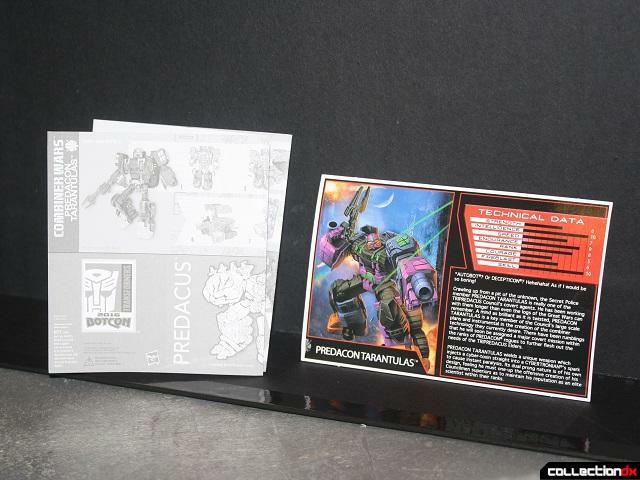 Part of that measure will be the exclusives. 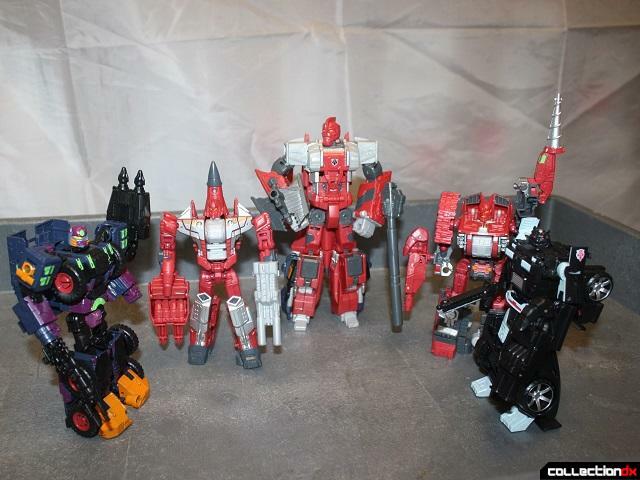 Every year, BotCon produced at least one, and though always a retool or repaint, they were usually something cool fans weren't expecting to ever have. The final event was no different, and for my money, they delivered. 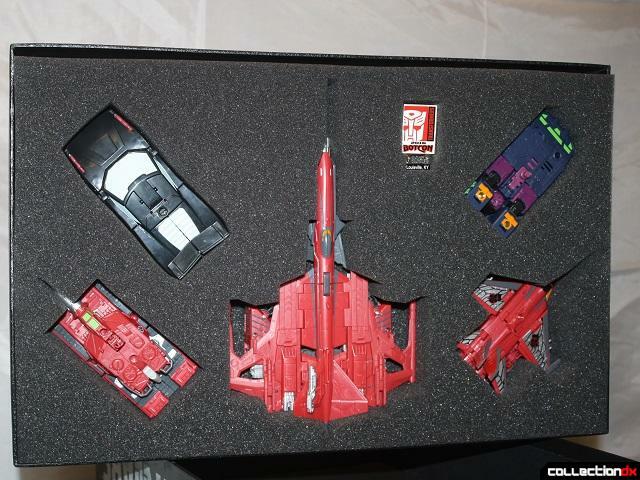 The box art & layout is the same as the other Combiner Wars boxsets, but the design is the usual BotCon shoebox, which is excellent. 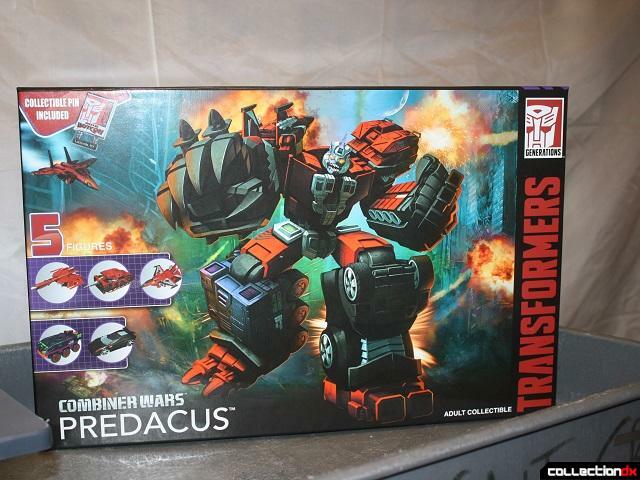 In the Beast Wars toy line, there is a Predacon combiner named Tripredacus. His three components are Seaclamp, Ramhorn, & Cicadacon. 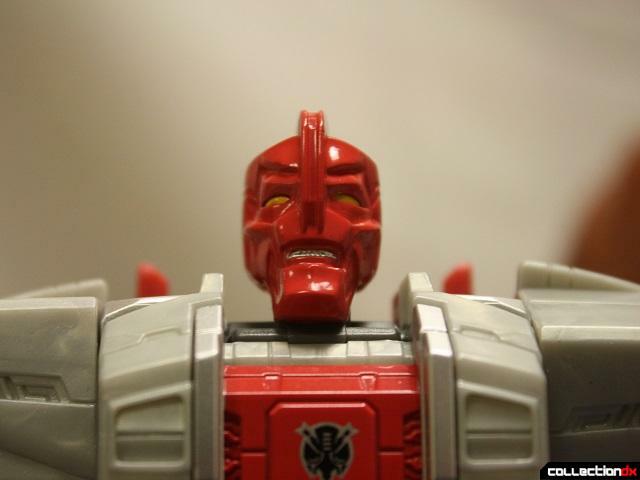 Despite their popularity, the characters were only featured in one episode of the TV series, and they had completely different designs. 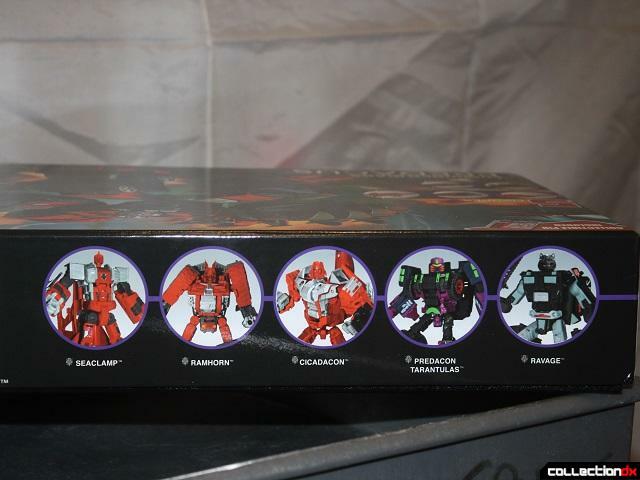 Years later, this boxset and the included comic gave a proper explanation on why. 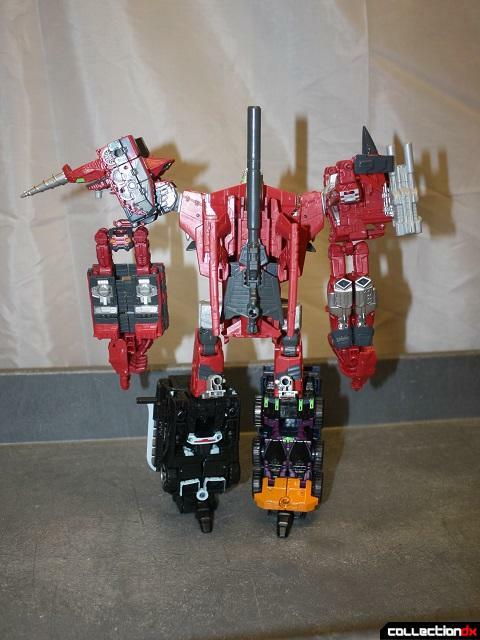 There's a lot more to it, but the important part is that their combined form originally consisted of five. 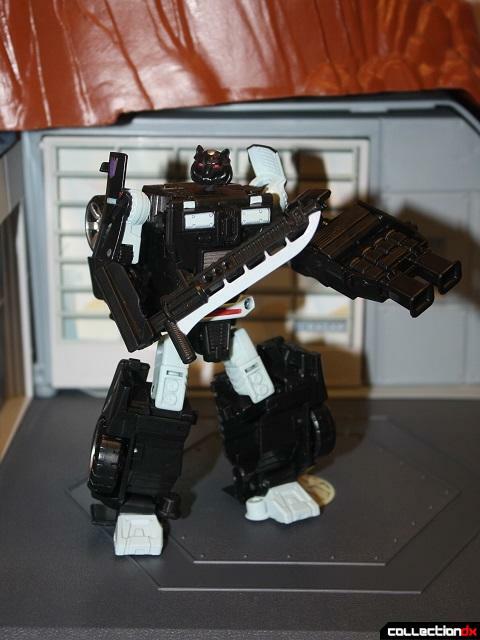 The other two team members were Tarantulas, of the soon-to-be Predacon secret police, and Ravage, the Generation 1 Decepticon. The figures are neatly stored in cutouts in a piece of foam, with all the accessories, manuals, & bio cards bagged underneath. There's also a commemorative pin. 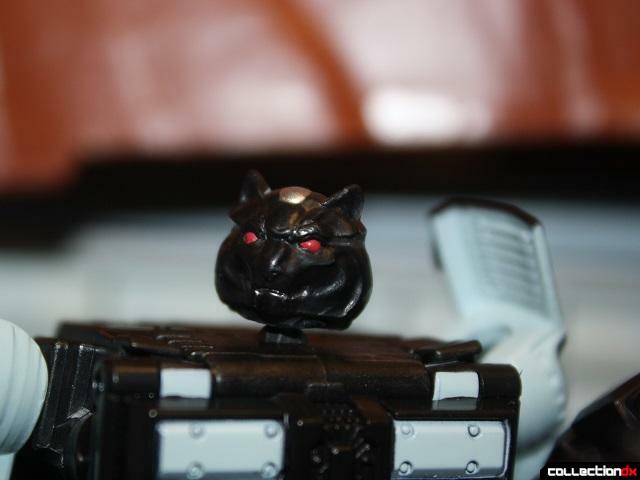 Ravage is unique in that he's the one definite G1 character to appear in Beast Wars on TV, in comics, and get a toy. Well, make that three toys now. 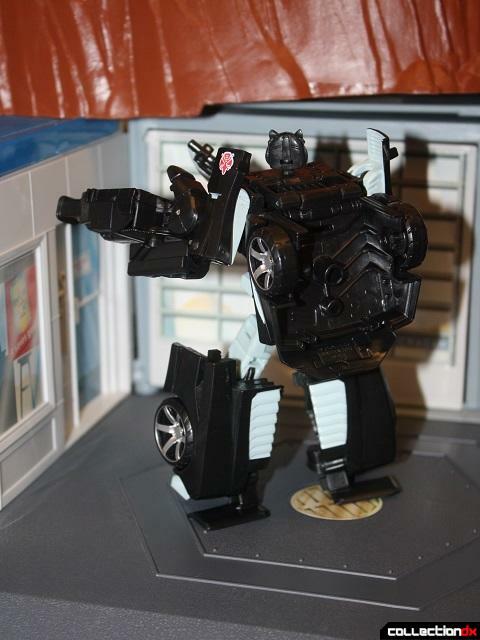 He's a minor retool of CW Breakdown, an all-black Lamborghini with red lights and the light blue normally used in cel animation to depict clear glass. 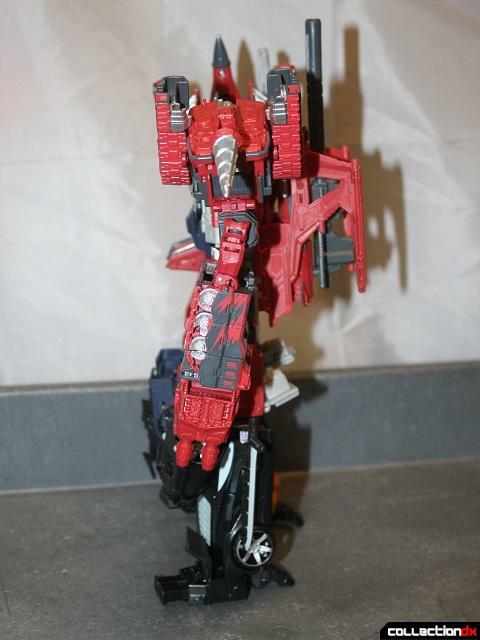 He sports both Decepticon & Predacon symbols, one on each side. 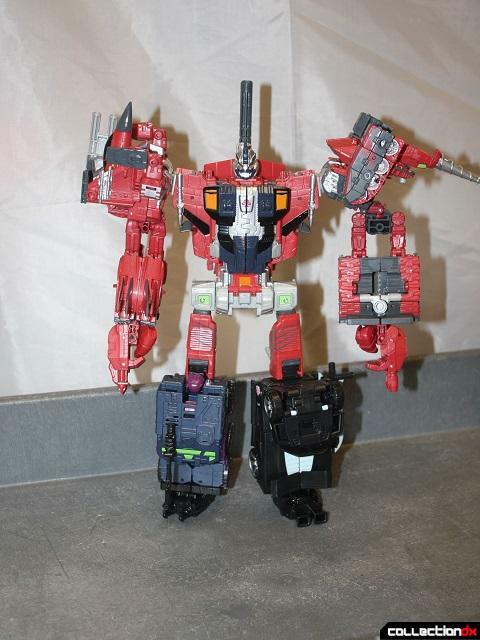 He looks great in both modes, but his one new part, his head, bugs me because it's so flat from behind. It's just weird. 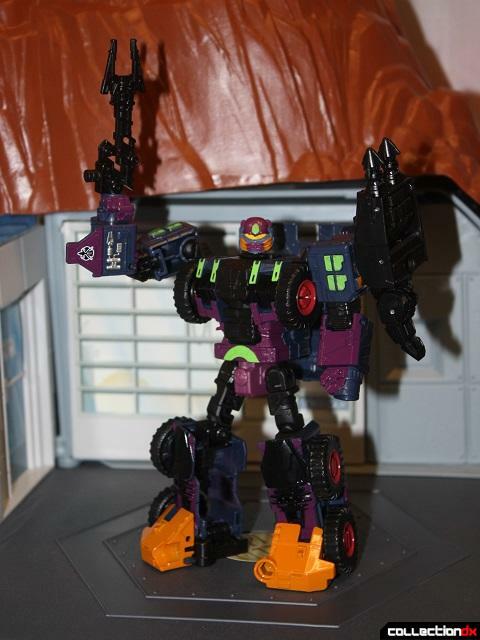 For Tarantulas, this is his second "pre-Beast Wars" outing. 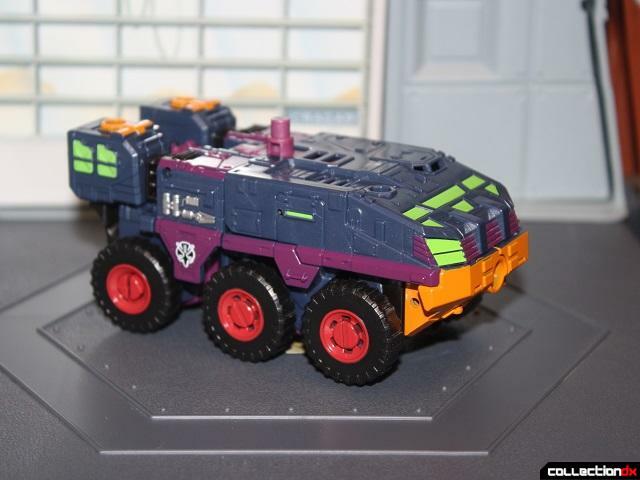 Another minor retool, he's an armored vehicle mostly blue with green, purple, red, and gold-orange components, and some silver detailing. 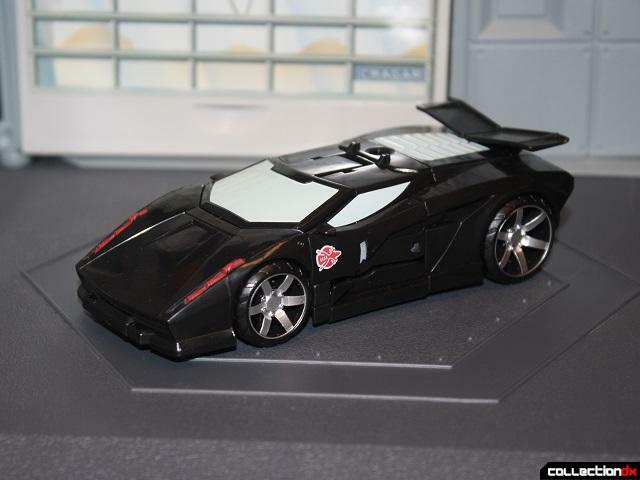 All of it carries over to robot mode, where a lot of black and the new head are introduced. 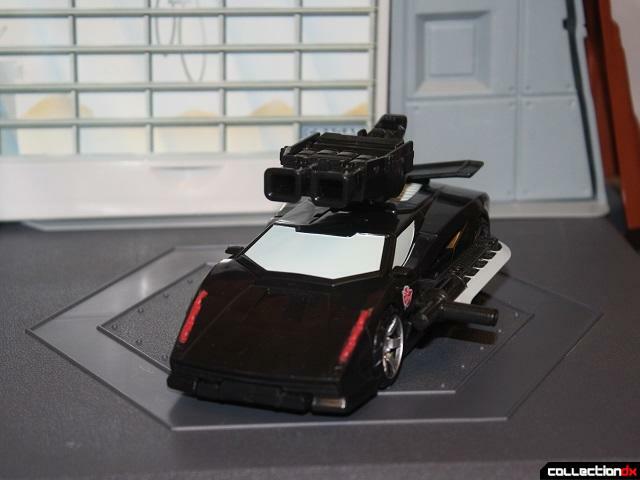 Not sure if this design is a better fit than the motorcycle form his last toy had, but it works as a preview of the spider he becomes in the future. 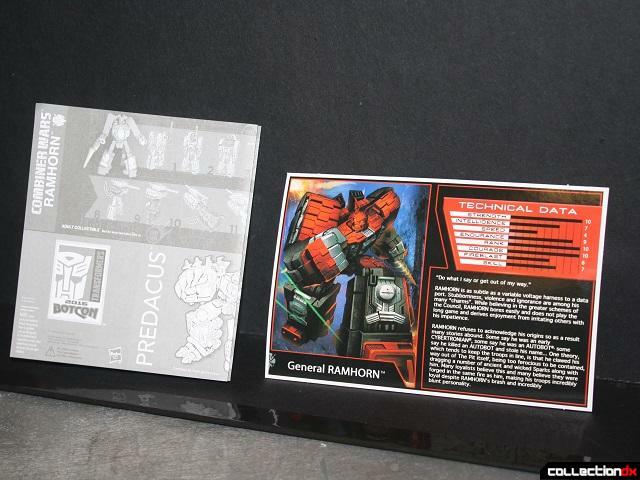 Ramhorn shares his origin with the other two members of the Tripredacus council, the supreme leaders of the Predacons. 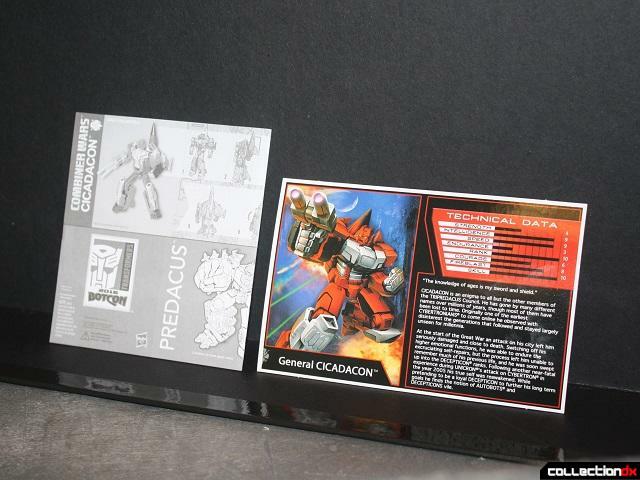 As a toy, he was part of the Tripredacus boxset. 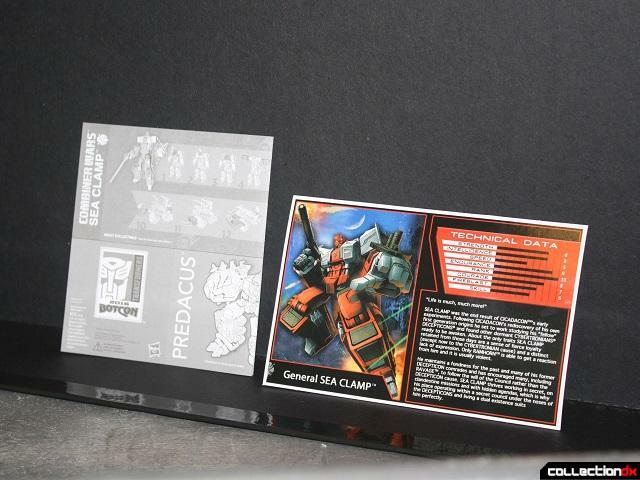 As a character, the additional story presented here suggests he may be the future version of the G1 Autobot. If so, his personality certainly matches. 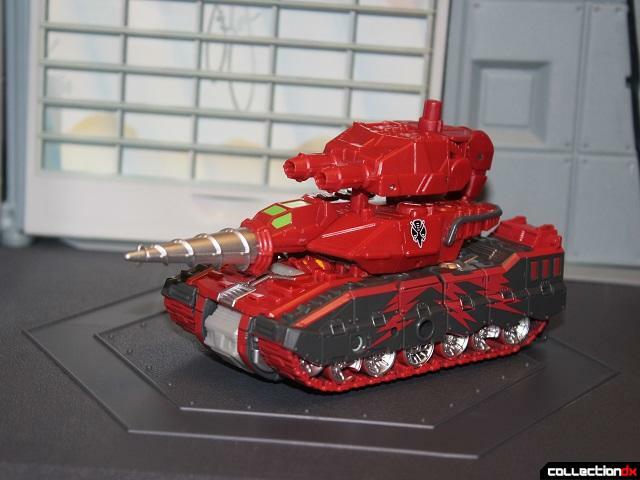 Now, instead of a brown & purple beetle, he's a red & grey drill tank with some silver & green. 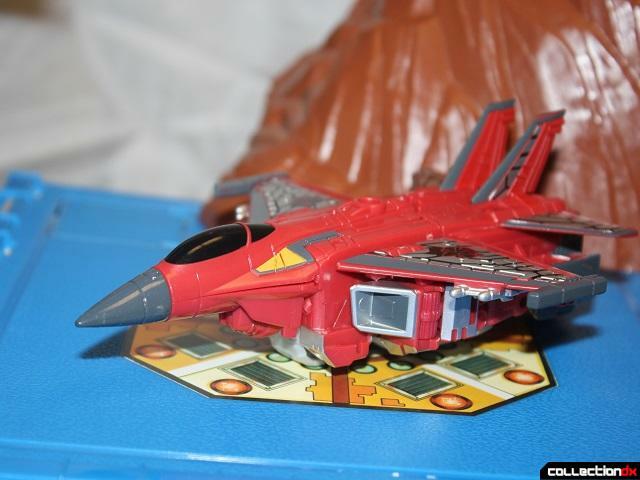 He's a minor retool of CW Nosecone, who in turn was retooled from CW Brawl. There's an impressive amount of detail, and none of it gets lost in the deco. 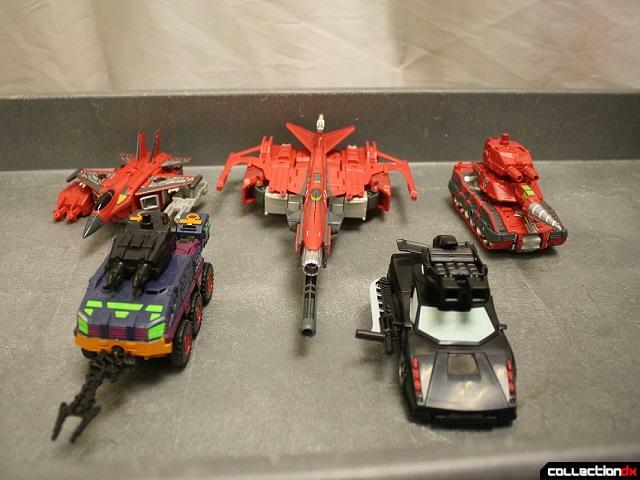 Lots of panels, vents, and hatches are present. 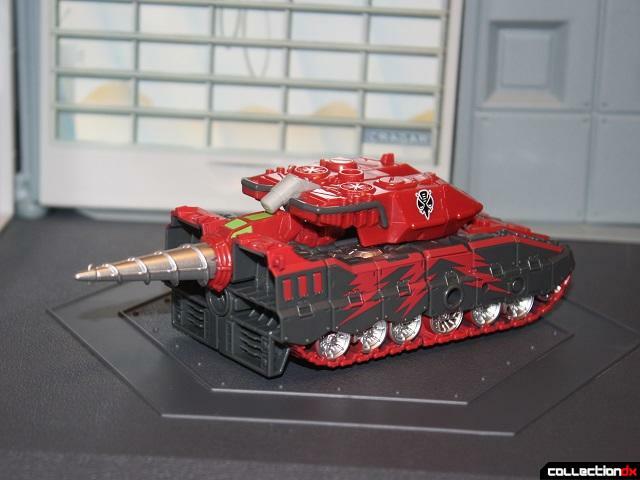 The wheels fill the treads, but even static, the illusion of a working tank is maintained. 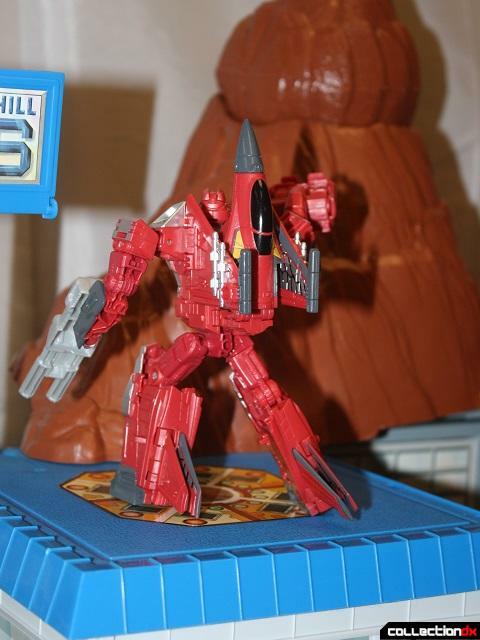 And though the drill doesn't spin, it can be flipped back for an interesting variation. 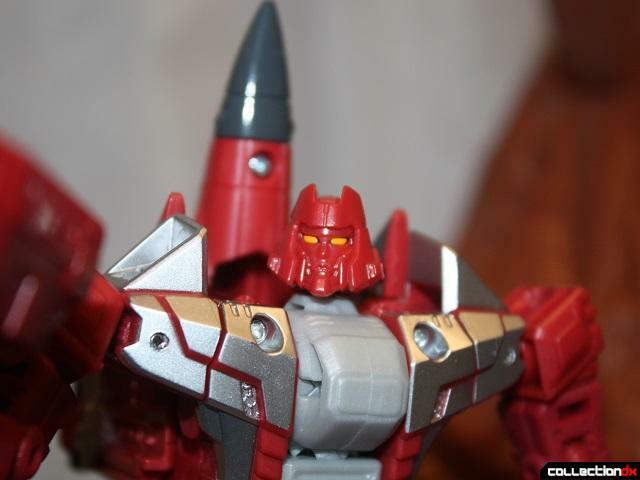 Robot mode adds a little yellow and another new head, based on his TV design. The abnormal chest/waist took some getting used to, but I dig it. 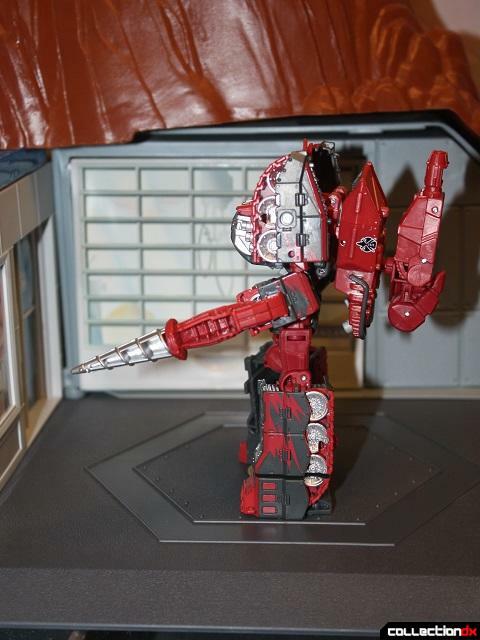 And the drill can be removed from the turret, so you've got options for how outfit him. 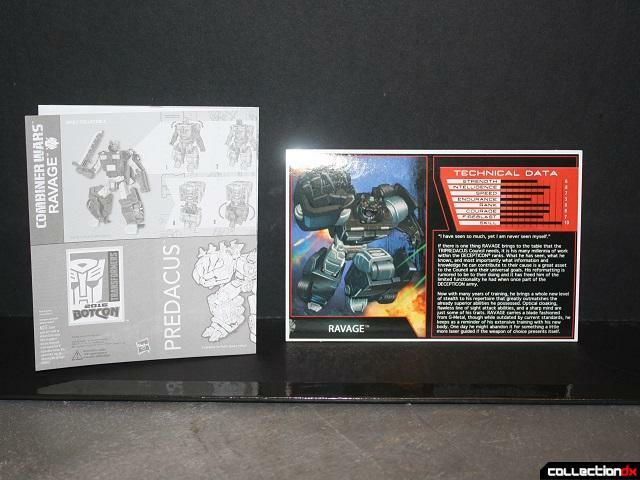 Cicadacon is in the same boat as Ramhorn, but his updated bio clearly reveals he used to be a Decepticon. 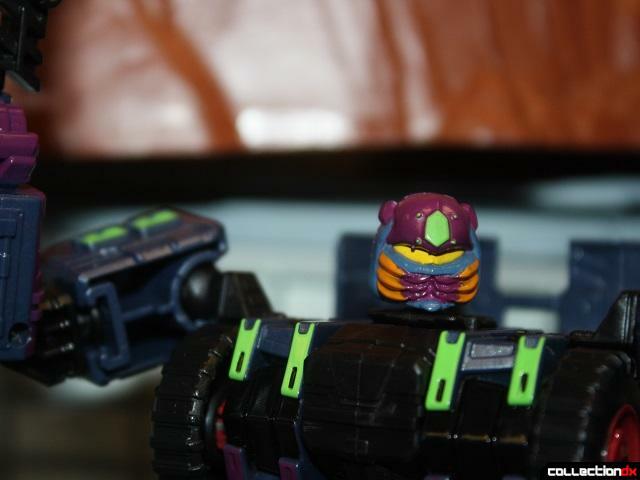 His original toy most resembles the deluxe Insecticon Venom, but that could be coincidence. 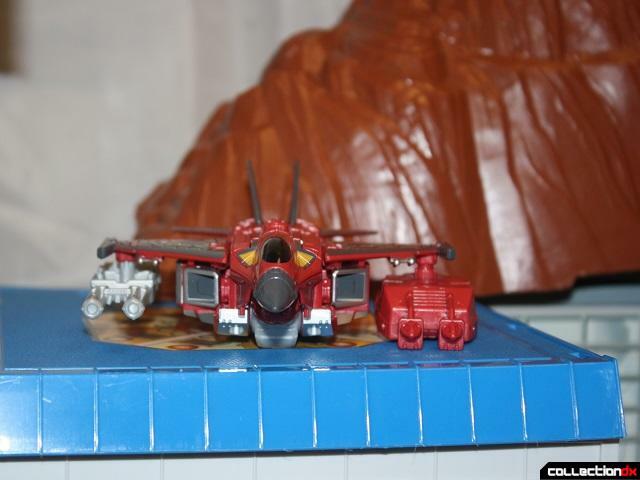 Cicadacon shares the mostly red theme of the council, and it works for another swanky deco, but he's a straight repaint of CW Skydive. 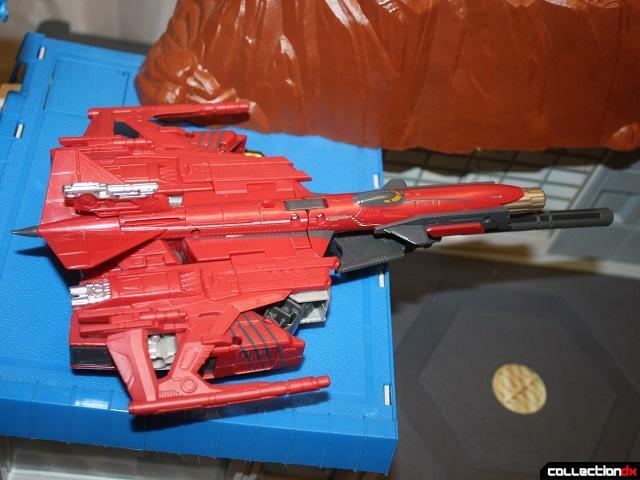 What stands out most is the insect wing pattern on all his wings, a nod to the original's cicada alt mode. 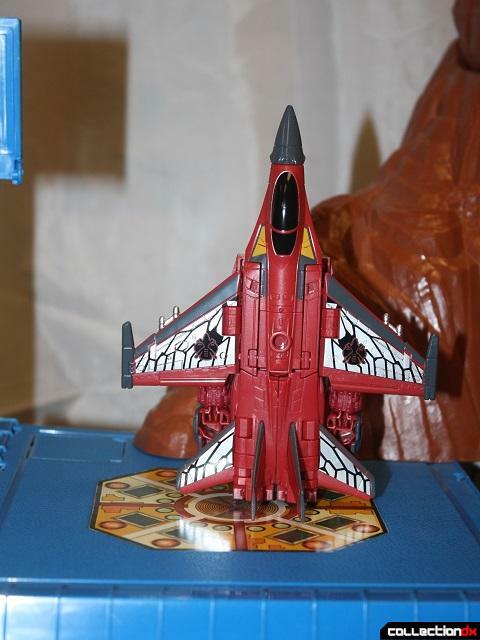 Even though they're concealed in robot mode, he's still pleasing to the eye. Lastly, we have Sea Clamp. 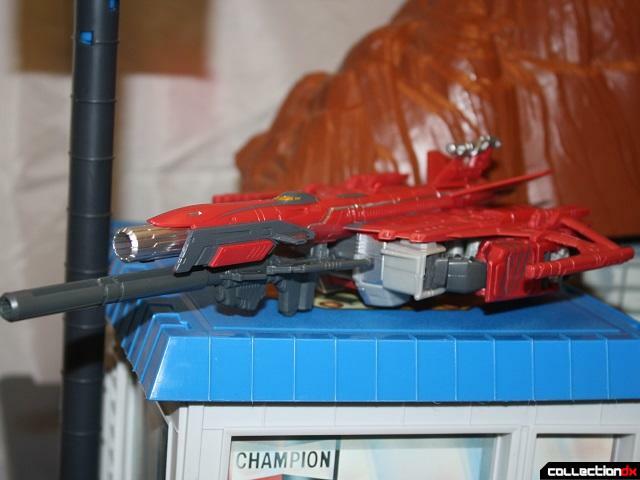 I'm guessing he got the voyager-class treatment since his original figure forms the entire lower body of Tripredacus. 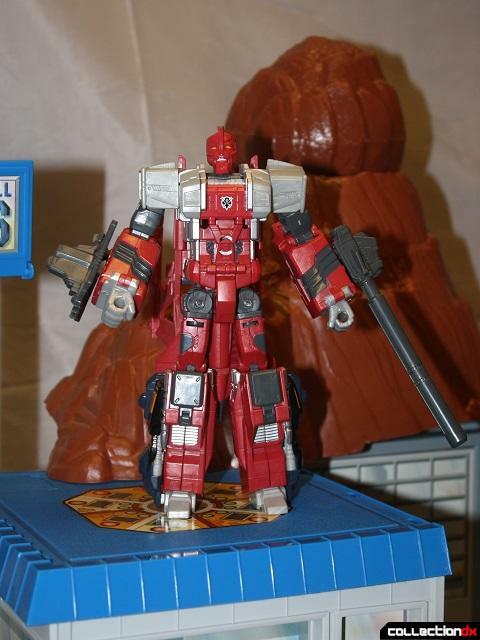 The last of the red tyrants, he's a retool of the first CW Scattershot, who in turn was retooled from CW Silverbolt. 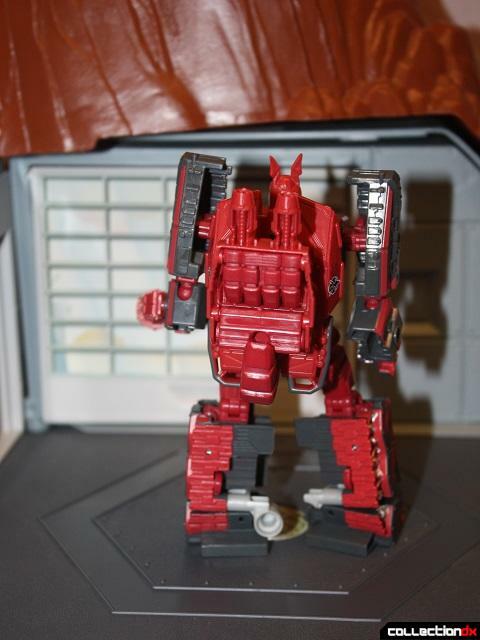 He's the only figure in the set with an out-of-box flaw, a bent tail. 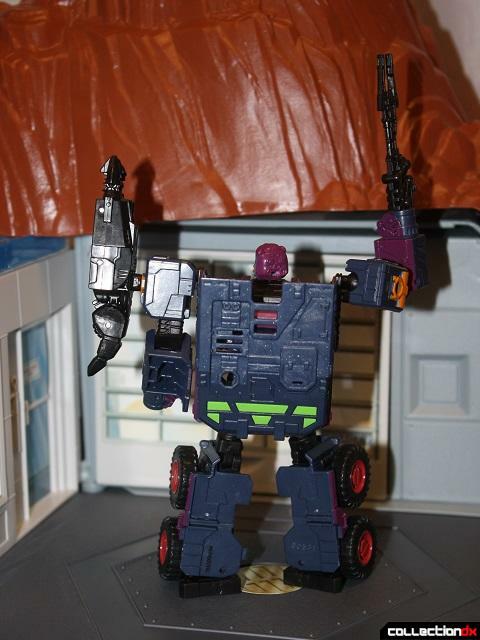 Kind of funny since his original toy has the alt mode of a brown & purple crayfish. 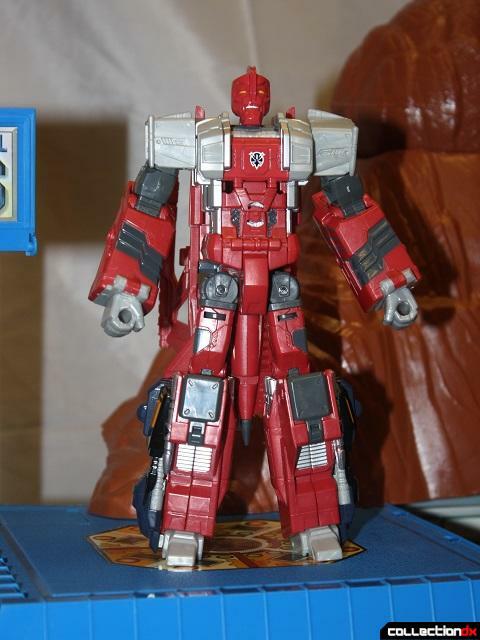 Robot mode's also on point, but his head's so wide from front to back, it must be turned sideways for transformation. So, the gang's all here, and individually, they're a solid team. 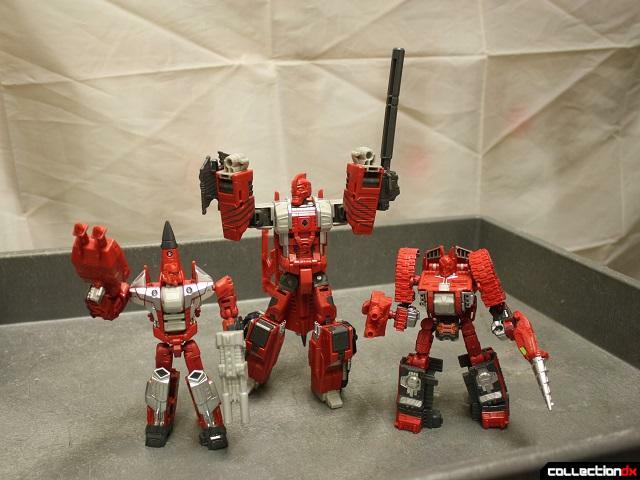 No one suffers from QC issues or bad paint, and each one does a great job of being interesting, regardless of how many times each base mold's been used. 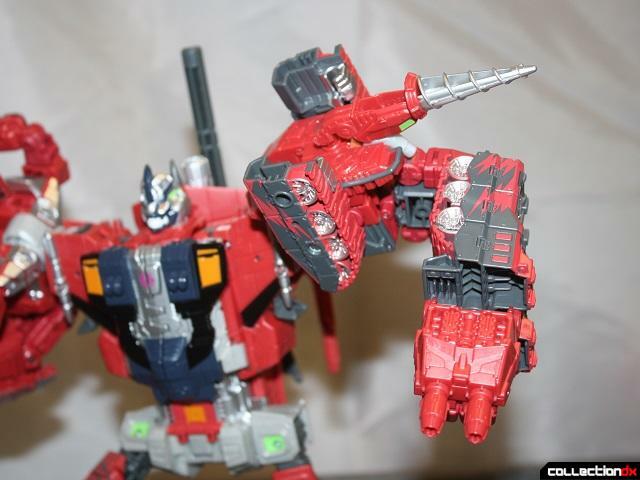 But can the same be said for Predacus? The answer is yes. 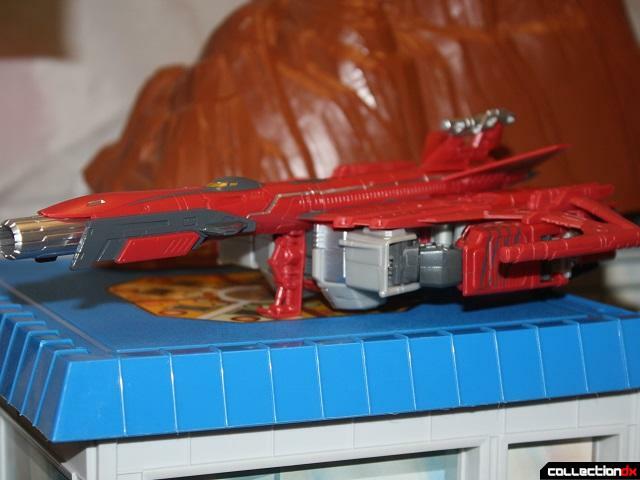 By far, the Silverbolt-base is the easiest of the CW voyager-class figures to use. It has no stability issues, so that great choice helps a lot. And the deco seals the deal. 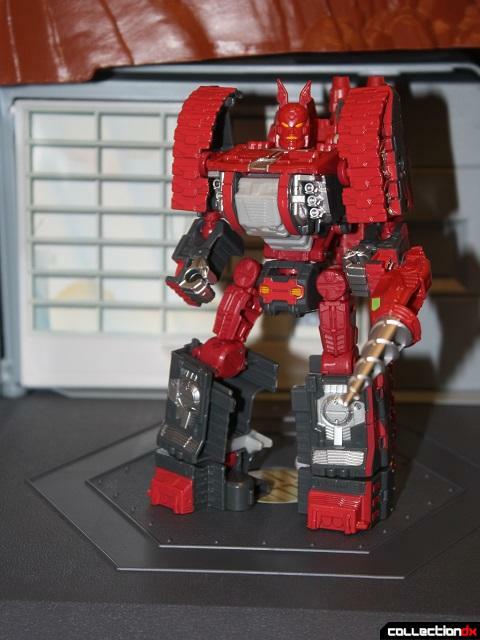 Ravage & Tarantulas make a nice offset, the Tripredacus council sport their signature red & orange from their TV appearance, and it all comes together with the chest plate & new head being modeled after the Tripredacus toy. 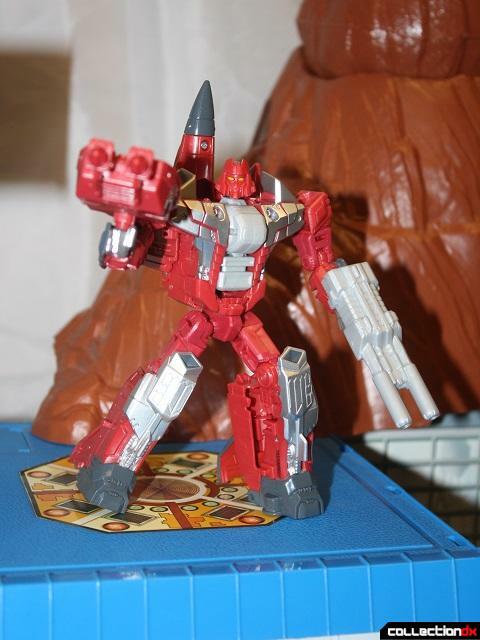 Admittedly, Ramhorn makes for a funky arm, but I still dig it. 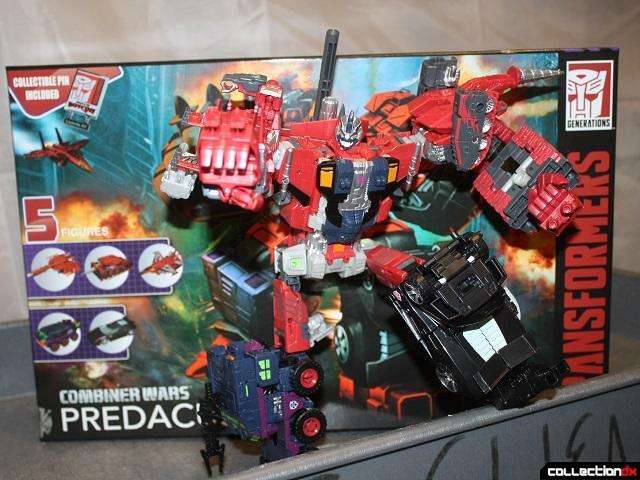 The only downside is that this set was super-hot when it was announced. Bagged or boxed, it's rare now, so good luck getting it for anything less than $500+. 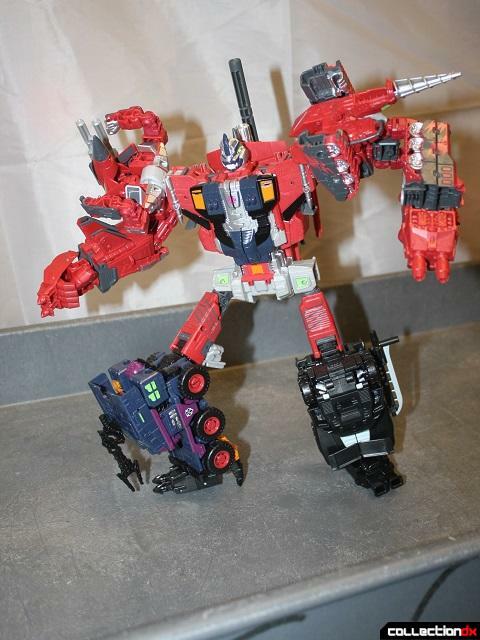 That said, all around, Predacus & his components make for another solid entry in the Combiner Wars toy line. 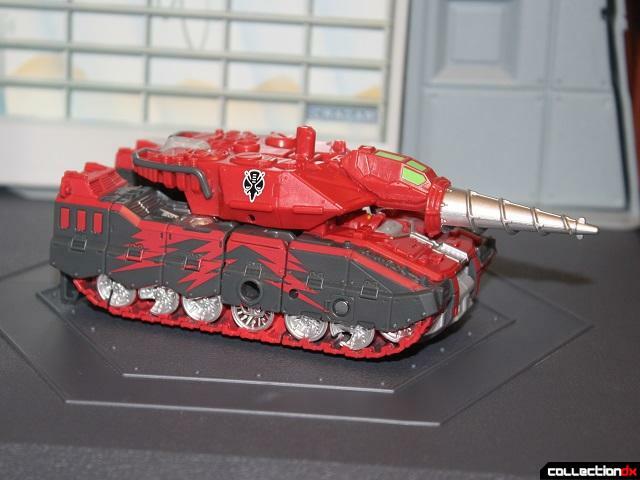 If you're a fan, and especially a Beast Wars buff, this is up your alley.